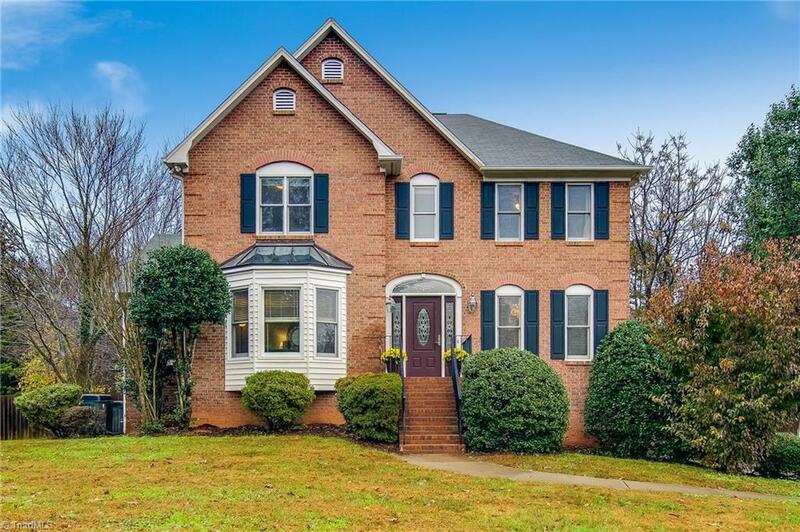 Perfect Clemmons location just minutes from YMCA, shopping & I-40 access. Classic all-brick home w/hardwood floors through-out!! Updated kitchen w/center island, granite counters, loads of cabinets & a sunny breakfast area. Spacious main level home office features built-in shelves & bay window. Generous great room w/gas fireplace. Finished LL has den w/fireplace & half-bath. Lovely screen porch overlooks level, fenced back yard. Over half-acre lot. All the right pieces! No HOA.